← What is healing and why do only some seem to receive it? I can connect songs to so many powerful moments in my life. I found it amazing how it woke up memories seemingly asleep for a long time in these precious women. Elvis was a little before my time, although I was, like him, a Miss’ippi boy. I suppose at some future date I and my boomer-buddies will be rockin’ out at the nursing home with “If I Had a Hammer,” “I Wanna Hold Your Hand,” and “Sittin’ On a Dock of the Bay,” which is to say. . .
Peter Paul and Mary, the Beatles, and Otis Redding. 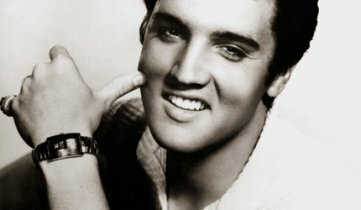 From our 1960’s perspective, Elvis was a greaser, but he did help, along with Chuck Berry and BB King, to get the ball rollin’.